Not hard to believe he was defamed, but let me note where I found this article. It was from The New York Times: Attack of the Right-Wing Snowflakes subtitled, “Angry men go to court to silence their critics”. The Canadian psychologist Jordan Peterson, sometimes seen as a free speech warrior, has twice sued Ontario’s Wilfrid Laurier University for defamation, part of a controversy that arose after a teaching assistant there was chastised for showing a video of Peterson in class. He has also threatened to sue Kate Manne, a writer and assistant professor at Cornell, for calling his work misogynist. The failed Alabama Senate candidate Roy Moore sued four women who accused him of sexual abuse. Quoting a New York Times article contra Jordan Peterson makes me think the Heterodox Academy is well on its way. “We have a moral obligation not to allow ourselves to become Trojan horses for political agendas of any kind, least of all supremacist ones,” she said. The Ramsay proposal is “part of the worldwide rise of aggressive racial and cultural supremacism”. Just what kind of horse is a Trojan horse, and what exactly are we being warned not to become? If you don’t d Western Civ, you will never know! Laughably ironic in their ignorance, but a tragedy to find into whose hands the university system has fallen. No wonder Tony Abbott lost his job. No one can any longer follow straightforward common sense. There will always be some Liberals who want the party to go further on climate change or be more compassionate on boatpeople. There will always be others to question turning the economy upside down when it won’t make any difference to emissions, and to caution against anything that might embolden the people-smugglers. It’s not a question of decency versus hardness of heart but of what really is the most ­humane thing to do. The leader’s job is to get the balance right. There are people who actually believe that global warming is the greatest moral challenge of our time, and other who think it’s not. There are people who actually believe that open borders are morally just, and others who do not. And both sides are found in the Liberal Party. I am with Tony on both of these. I am disgusted by the deceitfulness of the global warmists, and cannot believe the shallow arguments associated with bringing in boatloads of migrants. You can think of this as ideological if you like, but it just seems obvious, with plenty of evidence of a downside to both – see the fall – kinda – of Mrs Merkel and the turmoil in German society that has come from her pursuit of both green energy and open borders. All of this, to me, are conclusions from an overwhelming pile of evidence. Same goes for free markets capitalism. Tony Abbott is our Donald Trump. But he was a Prime Minister not a President isolated from a need for cabinet solidarity. He was brought low by one of the most deceitful and duplicitous politicians in Australian history – fully supported by our ABC. But if you think things are bad now, wait till after Labor takes over. From David Harsanyi: The Left’s Response To The Mass Shooting Of Jews Is An Act Of Bad Faith. His sub-title is, “How are Americans ever going to ‘come together’ if the first thing a political party sees when it sees dead Americans is a partisan cudgel?” It is for this very reason that I did not blog on this myself. There ought to be no politics in this, not for Trump or against him, nor in relation to any other political aspect. Anti-semitism is an old and deadly story for Jews and no family is without a story to tell, though thankfully in my own lifetime there has been virtually none in the places I have lived. Even the story of the Holocaust has been universalised, about the all forms of prejudice even though it was specifically directed against Jews, with anti-semitism still very much alive and in evidence everywhere. And there is no doubt that Trump’s philo-semitism, while welcomed by me is not welcomed by all. An interesting article, reprinted in full. There were many others, and that was bad enough. But others decided to dip into a little victim blaming, as well. Hadn’t American Jews been little too Jew-centric and pro-Israelfor their own good? Scott: you have to show you really care about the Liberal base, and even more, that you really care about this country. And this is how you do it. You make Tony Abbott the Deputy Leader of the Liberal Party so that we can see that the views of us over here are taken into account. Even better, you will be able to bring the party together. Better still, you will be able to fashion a policy platform that will get you over the line, you know: lower real cost of energy, an improving economy and stopping the boats. Why this is not obvious to you is beyond reason. And just this now up at The Oz: Nauru a ‘very pleasant island’: Abbott urges PM to hold firm on asylum seekers. Sounds like a winning policy to me. Jordan Peterson is one of the most relentless and effective enemies of the left. Yet he is frequently criticised by those who are supposedly on his own side. If you are in any doubt about which side he is on, here is the Canadian State Media going after him, which is identical to our ABC in being an exactly perfect measure of who is a genuine enemy of the left. SHUT HIM DOWN: The Rise of Jordan Peterson has been in the making for the last two years. The feature doc is a behind-the-scenes look at Professor Jordan Peterson as he navigates the biggest controversy of his career. This is the official trailer which illustrates the explosion of polarized opinions that surround his meteoric rise to global fame. Polarised as in they are a bunch of Marxist frauds and he is opposed to their lies and deceit. The BBC thought they had shot him to pieces and are still amazed how his influence has grown. 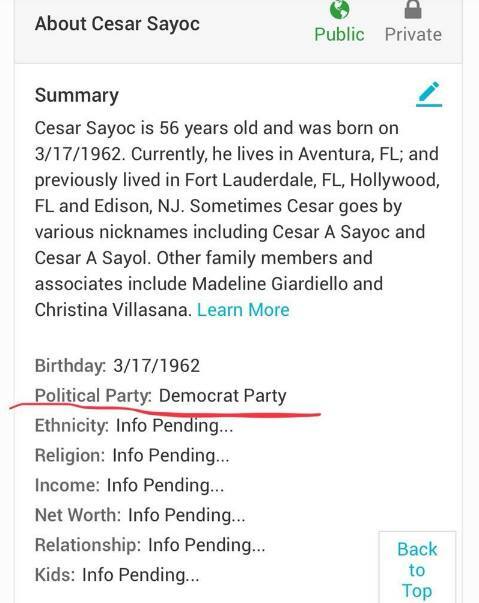 I can see many advantages to the Democrats from the fake bomb business. It changes the subject from how well PDT and the American economy is doing as the US heads into the last week before its mid-term elections. They get to pretend they are victims, which is an important leftist meme. The party of Antifa gets to harangue on the importance of civility in politics. All of the media can go off on another set of rants about Republicans. Best of all, no Democrat was ever in the slightest danger of harm since none of the ones on the target list open their own mail. And no matter how I look at it, I cannot see this as anything other than a very sophisticated Democrat operation. All these bombs and not an arrest in sight. The kind of deep knowledge one would need to pull off even one of these without detection is quite intense, never mind eight or nine, with the numbers still rising. And if they do pin it on someone eventually, I suspect it will be along the lines of the chap Hilary stitched up for the murders in Benghazi because of some video he had produced. Not only liars to the core, but presenting their lies to some of the most willingly gullible who have ever lived. Just the kinds of people who will take global warming and Keynesian economics as valid reflections of reality. In my view, but who knows, we are never going to know who really sent these fake bombs to this almost perfectly concocted target list. And I can only say there must be some really irritated lefties who feel genuinely affronted by not having been included in the A list of targets. Meanwhile, GOP candidate received letter threatening his 7 children. That one looks a lot more genuine than the rest. And for the record, I am also as cynical about the fall in share markets around the world. How hard would it be for George Soros and his mates to sell off a parcel of shares all by themselves just to depress the market for a week or two even while the Fed starts to raise rates? Donald Trump has been a respite from this relentless effort to undermine the values and integrity of the West and our way of life. Enjoy it while you can for après Donald le déluge. Campaign politics tends to be a lowest-common-denominator business. If something works — no matter how loathsome or even untrue — then it gets used. The end always justifies the means — and the end is always and only winning. 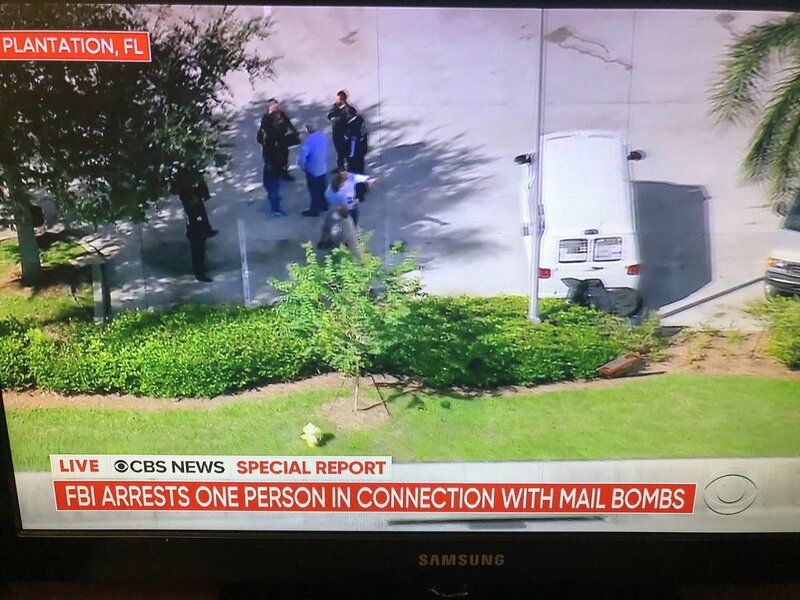 And yet, even by that incredibly low bar, what some right-wing pundits have done in the wake of 10 mail pipe bombs being sent to prominent prominent Trump critics, Democratic politicians, party donors and CNN’s New York office is astonishing. In short: They have suggested — with zero evidence — that is all one big hoax designed to help Democrats in the 2018 midterms, a classic “false flag” operation…. 1. Someone or someones who wanted to help Democrats — and the media, I guess, somehow? — would send a series of pipe bombs to prominent Democrats around the country. 2. Then Democrats or the media or, again, someone, would have to have coordinated with the state and local police — not to mention federal authorities — so that law enforcement said that these were functional bombs (even though, again, according to this theory, they weren’t). Which, um, is not what happened. As any reasonable person — regardless of your political affiliation — can recognize that that sort of broad conspiracy not only stretches the bounds of the possible but snaps them in two. It is all so obvious, I am amazed such clarity has only occurred within the Democrat media and to no one else. Specially liked the bit from George Soros. The left has the most shrivelled sense of irony in the history of the world, although here I think Soros is laughing at his own side for being the way they are. He could not possibly be that stupid himself. And this is the alternative perspective from Ace of Spades: AP: CNN Pipe “Bomb” and Powder Within It Were Perfectly Harmless. Will the always-in-error-but-never-in-doubt Not-Binary Ben care to revise and correct his prior remarks about people being “deranged”? The pipe bomb and white powder that forced an evacuation at CNN headquarters in New York City Wednesday morning were harmless, a law enforcement source told the Associated Press.The purported explosive device was similar in construction to those sent Wednesday to former President Barack Obama, former attorney general Eric Holder, Hillary Clinton, Representative Debbie Wasserman-Schultz (D., Fla.), and Representative Maxine Waters of California. A package containing white powder was delivered later in the day. All of the devices carried a parody ISIS flag featuring comedian Larry the Cable Guy�s signature slogan, “git ‘er done,” NBC News reported late Wednesday. Why this would change a single vote in either direction is beyond me, but the Democrats must know their constituency, idiots without judgement about policy and with no comprehension how what happens in the present will affect what will happen in the not so distant future. But go through the lot since they are amazing.